← Which came first, the chicken or the cage? 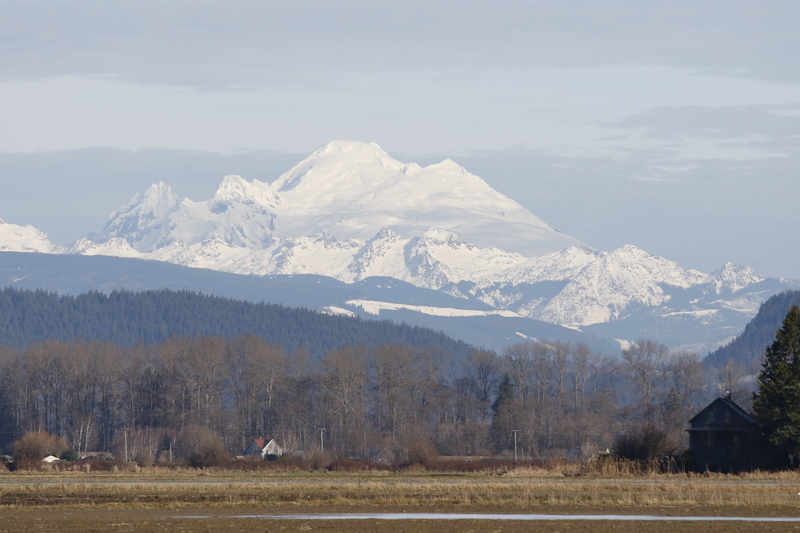 First day of 2015 and we are visiting the Skagit Flats, located just north of Mt. Vernon, Washington. Bordering Puget Sound and the Skagit River the surrounding lowlands are a prime wintering ground for waterfowl, raptors and other birds. What a beautiful day to start the new year. 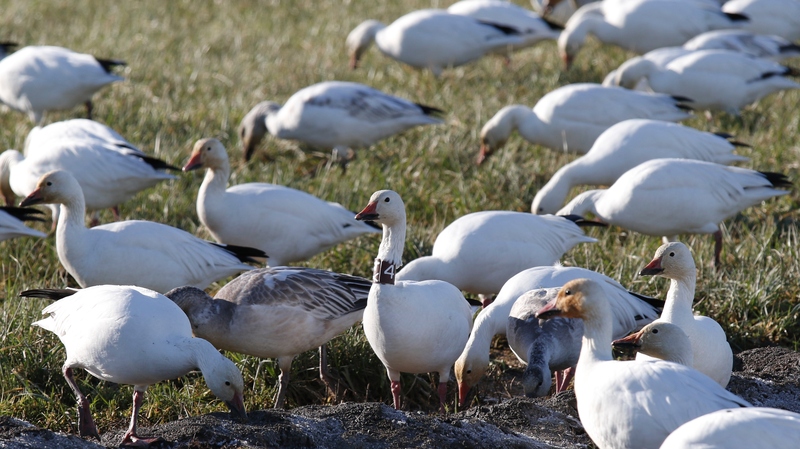 First stop was to enjoy thousands of Snow Geese feeding on a field of grass. A loud bunch, they were constantly bickering with each other over a choice morsel. One caught our eye. This goose had a neck band, labeled x4. Later that evening we submitted a sighting report to the Bird Banding Laboratory located at the Patuxent Wildlife Research Center. Researchers trap and band many species of birds. Data is used to study the dispersal, migration, life span and population changes. The banding lab manages this data. They will enter this sighting into their database and send us a detailed report of this bird which was submitted to the lab at the time the bird was banded. 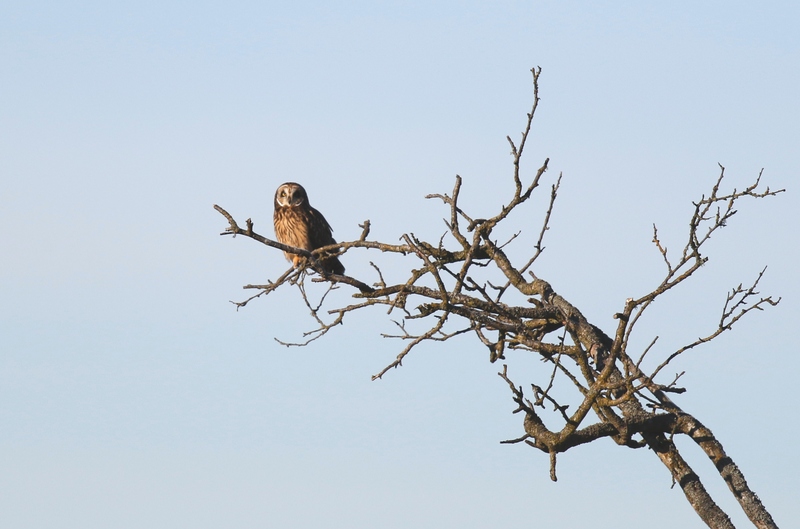 Short Eared Owls were hunting prey and harassing each other. They put on quite the airshow. We saw Peregrine Falcons, Eagles, Red-tailed Hawks and Herons, just to name a few. Many people were out walking, biking and birding. 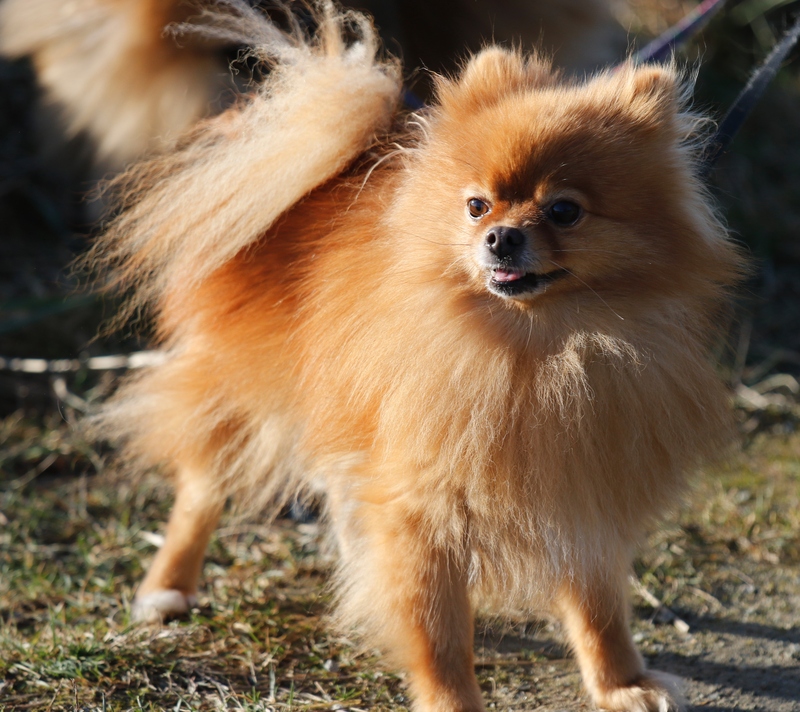 This little guy, though not a bird dog, was also enjoying the day. This entry was posted in Adventures, Birds. Bookmark the permalink. Lovely bird pictures. I also wanted to thank you for your remembrance of Tom MitsuYu Kelly and your haiku for Tom that posted in the Monastery Messages newsletter. Your memories of your time on the land at Tahoma with Tom evoked kind memories. I met Tom in 1991 at an Osesshin with Roshi at Bastyr. When I lived in Japan in late ’90s I would visit Tom at One Drop and spend a day clearing nettles and listening to Tom talk about women’s rights and Chinese Buddhism. I wondered if you would like to hear what Roshi said at Tom’s 2008 memorial? Tom Kelley was the first monk to live on the land that became Tahoma-san Zen Monastery. Mitsuyu’s Vow was deep and serious. His love of the land, trees, nature was fierce. Anyone who knew him knew that. He had a special devotion to children and to all people in need. His commitment was deep and his ways of actualizing that commitment were singular.